One of the nation's top master-planned developments, Summerlin is loaded with luxurious subdivisions that boast many of the finest homes in all of Nevada. Naturally, there are great public and private schools, dining, shopping and incredible outdoor recreation. 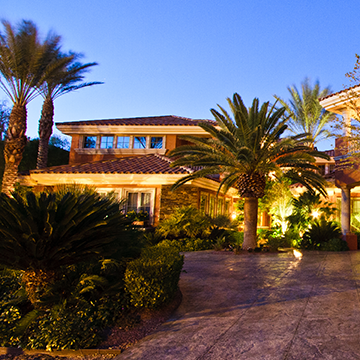 Luxury on the east side of the valley is found exclusively in Henderson. Here you will find amazing homes, many with striking views of the Las Vegas Valley. With a private airport and easy access to McCarran International Airport, it's perfect for frequent travelers. 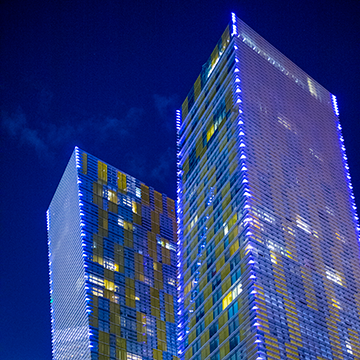 Las Vegas is home to more than 20 different hi-rise developments ranging from studio to extravagance! If you've ever wanted to own a piece of the world's most famous street address, here's your chance. A little-known fact, but Las Vegas and the surrounding area have a great deal of ranches and equestrian properties. Before urban sprawl, luxury could be found closer to The Strip. Well, it's still there in a few vintage neighborhoods.